Michael Fassbender plays the maverick, alcoholic, chain-smoking Oslo cop, probably hoping, along with producers Working Title, that this could be the start of long-running franchise, something to get him out of the X-Men costume, at least. Hole (technically, it’s pronounced ho-leh) is on the trail of a serial killer who leaves figures of snowmen outside the houses from where he snatches his female victims, or where he slices them up. We’re not sure for a while if this is, indeed, a serial killer case, and we’ve certainly no idea how he makes the stupid snowmen. The scent of a hunt seems to energize Harry Hole, although it doesn’t help matters in his chaotic private life, which involves an art dealer ex-lover played by Charlotte Gainsbourg, her son Oleg, and her current husband, a slimy doctor called Matthias (Jonas Karlsson). What can it all mean? As is now customary in the Scandi noir genre, all is not white amid the driven snows of the Norwegian winters. Blood soaks through, crows peck at the ice, and long-buried secrets emerge. See The Snowman's latest POWER MOVE. Katrine and her newly-issued but incredibly clunky-looking EviSync machine go about their data-recording detective business; the fact that we learn this gizmo needs fingerprint ID to function will obviously come back with grisly consequences later on. The Snowman, you see, is not averse to incorporating real body parts in his snow sculpture work. This should have been a success. The screenwriters include Oscar nominees Peter Straughan (“Tinker Tailor Soldier Spy”) and Hossein Amini (“Drive”); Martin Scorsese exec produces; Dion Beebe takes on photography duties and award-winning Maria Djurkovic (“A Bigger Splash”) goes to town with the Ikea-catalogue production design. Director Tomas Alfredson and his producers strain for a magic blend of his stylish ensemble noir “Tinker Tailor Soldier Spy” and his macabre Swedish vampire fable “Let The Right One In.” But you can hear the ice crack under the weight of all that expectation. 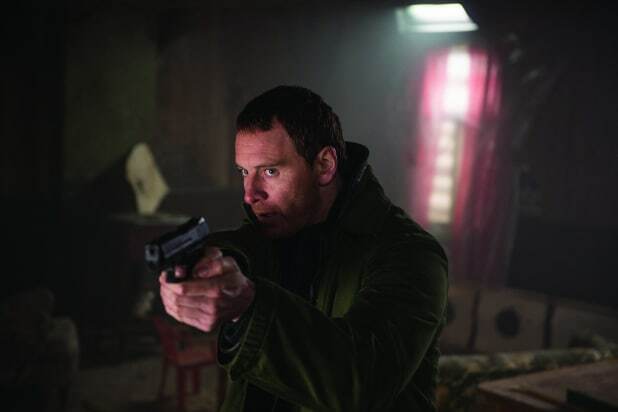 For all his red-eyed, hangover acting, Fassbender cannot make his detective interesting; Hole is about the right name for this characterless performance. Even the dependable Ferguson looks lost in the snowdrifts of the script. All around them, sub-plots, tangents and flashbacks feel casually cobbled together, a smorgasbord where all the herrings are red and the krispbread clichés gone stale. In a film that revels in the gruesome nature of its deaths and the impenetrable mysteries of murder, the climactic showdown is so unimaginative it should be sent to the bottom of the screenwriting class and made to repeat the year. The glaring inadequacies of “The Snowman” are the only things shocking about it. Harry Hole’s film career could not have gotten off to a more inauspicious start. Its future is certainly on thin ice now, and you don’t need Saga Noren, Lisbeth Salander or even Kurt Wallander to work that one out. Now that the back-to-school rush has settled down, the weather is changing and pumpkin spice is being sprinkled in the coffee rotation, let's embrace fall. We can also embrace all of the exciting new movies and TV shows coming to Netflix in October. Here, TheWrap breaks down which ones you shouldn't miss, and a few things you need to re-watch before they leave. Coming October 1: "I Love You, Man"
Bet you didn't realize how much you'd like to watch this movie again until we told you it's coming to Netflix next month. Starring Paul Rudd, Jason Segel and Rashida Jones, "I Love You, Man" gave us classic one-liners like "totes mcgotes" and "bro Montana." Coming October 6: "The Life and Death of Marsha P. Johnson"
One of the 1960's biggest LGBT rights icons, Marsha P. Johnson's body was found in the Hudson River in 1992. Police ruled it a suicide and didn't investigate. David France's documentary follows trans activist Victoria Cruz in a search for the truth. Coming October 13: "The Meyerowitz Stories (New and Selected)"
The latest from Noah Baumbach, "The Meyerowitz Stories (New and Selected)" features Adam Sandler and Ben Stiller alongside Dustin Hoffman and Emma Thompson in a dysfunctional New York family saga. The David Fincher-produced series, set in 1979, follows two FBI agents, played by Jonathan Groff and Holt McCallany. They listen to convicted killers, trying to understand the motivation behind their brutal and senseless violence in order to prevent future murders. Coming October 17: "Patton Oswalt: Annihilation"
Netflix is adding a smattering of new Netflix stand-up shows next month, including a special by Patton Oswalt in Chicago tackling topics ranging from social media to politics to grief. Coming October 20: "The Day I Met El Chapo: The Kate Del Castillo Story"
This three-part series tells the tale of Mexican actress Kate Del Castillo's infamous meeting with one of the world's most notorious drug lords. It features never-before-seen footage and new details from Castillo's side of the story. 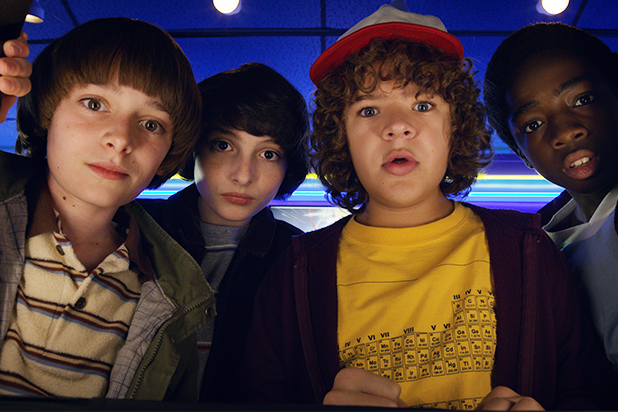 The Duffer Brothers' cult hit "Stranger Things" returns right in time for Halloween weekend. This season promises the return of Eleven, a deeper dive into Hopper's past and the gang looking real good in some Ghostbusters costumes. Leaving October 1: "30 Rock"
Sadly, you read that right. Tina Fey's hit comedy "30 Rock" will be leaving Netflix at the beginning of next month. Kenneth would probably tell you not to be sad, but we know you are. We are too. Our hearts will go on, somehow, after Kate and Leo's classic love story jumps off the Netflix ship.